​Fat males pay a penalty of $1,000 for every pound that they are overweight. In the United States, obesity is a monumental problem that widely varies by race, gender, income and location. For example, data from the centers for disease control displays that African Americans have the highest rate of obesity compared to all other races. Obesity, however, is not just a problem that negatively effects two-thirds of americans by endangering their health through common causes of death such as diabetes, stroke, heart disease, etc. Obesity, especially among lawyers, is potentially also a problem that hurts the chances of getting hired, fair treatment at workplace, and salaries. In 1994, Cornell University published a piece titled Obesity and Discrimination Among U.S Lawyers. 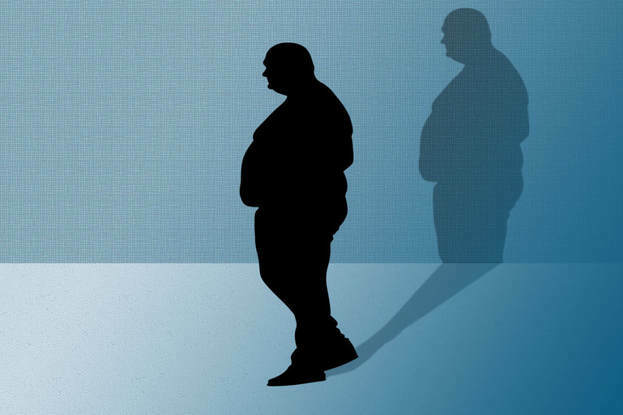 The article argued against unfair treatment and workplace discrimination of obese lawyers. A study conducted at the time took statistical data of over a thousand firms to conclude that: “only 9 percent of the males in top executive positions were overweight compared to 40 percent in the lower executive positions.” The report suggested that fat males paid a penalty of $1,000 dollars for every pound that they were overweight. In 1994 when the article was published, the prevalence of obesity in the United States was less than 18%. In 2018, almost 73.7% of people are overweight or obese. The research on the subject of weight discrimination among lawyers has been minimal and finding the exact numbers of how much weight discrimination affects lawyers is difficult. Although there have been many legal attempts to address this issue since 1994, the obesity rate has also increased significantly. According to the peer reviewed article published in 2014 titled “Weight discrimination in the workplace”, although the research indicates that the general trend of workplace discrimination is decreasing compared to past decades, workplace discrimination is still a problem especially taking into consideration how much of a bigger obstacle obesity is now than it was nearly a quarter a century ago. Not to mention, only one state (Michigan) makes it illegal to discriminate against employees based on their weight. Obesity and workplace discrimination are both problems that affect millions of americans. There are many reasons that suggest that workplace discrimination because of weight exists in law firms just as it does everywhere else. Although reducing obesity itself among lawyers is an important issue to tackle, preventing workplace discrimination because of weight should also be a priority. That is why there needs to be significantly more amount of contemporary research on the unjust challenges obese lawyers face at the workplace in order to prevent them from occurring further.